Our clients can avail from us superior quality Rice Brakes that are offered in variety of sizes to meet various requirements of different industries. These brakes are manufactured by using good quality natural rubber and branded chemical to match exact industry standards. Besides, our brakes are known for their dimensional accuracy and durability. 1 15" to 24"x 1 ½" x 1 ½"
2 15" to 24"x 2" x 1 ½"
3 15" to 24"x 2" x 2"
Note-: In all type of bits from 28mm to 38mm. 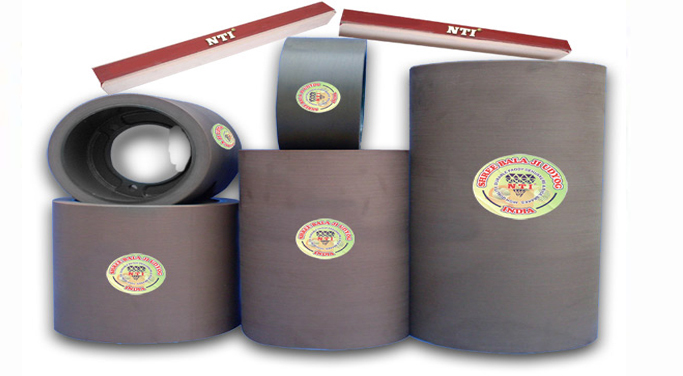 We introduce ourselves as one of the leading Manufacturers, Supplier, Wholesaler, Exporter of Rice Rubber Rollers in India. Our products have found wide acceptance in terms of quality & workmanship. It put one pair on trials, we can prove that our rollers will give 30%-40% extra service life compared to any other. we can guarantee that our customer will get maximum output with minimum breakage of Rice by our Rollers. We manufacture complete range of Paddy Dehusker both in Aluminum and ms Sleeve. Using Shree Balaji rice rubber Rolls helps reduce your rice mill operating cost in many ways. High quality of rubber gives longer running life of our rolls compared to other brands. This means more number of bags or more tonnes of paddy husking per each pair of rolls. 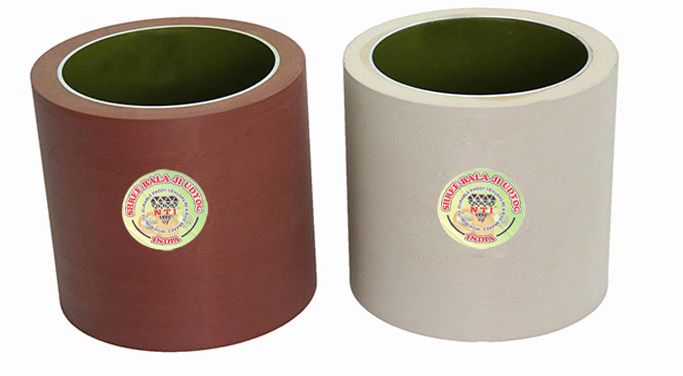 Good bonding with the metal drum ensures vibration free and smooth running of rolls up to the end so that rubber roll can be used fully without any wastage of rubber. Optimal hardness of rubber helps in reducing the breakage of paddy grains which means higher rate for the rice sold. Accurate dimensions minimize the wear and tear of bearings and shaft thus reducing the over all maintenance cost of sheller machine. Lowest failure rate of the rolls ensures minium sheller stoppages so that the rice mill can run continuously thus giving higher production. We are listed as India's biggest and reliable suppliers and Manufacturers Paddy Dehusker belts. In our Paddy Dehusker belts, the fan available to separate grains from husk can run to its fullest extent, it become more durable and its PIX blade separator to remove stones and rubber role that ensures 90% to 95% cleaning of grains. Additionally, customers are eased with the availability of the Rubber Roll Sheller and Paddy Dehusker that is loaded with the latest feature. Being a custormes-oriented firm, we manufacture and supply a wide array of Rice Rubber Brakes. This range includes Rice Rubber Brakes & Rice Rubber Polisher that are widely demanded by the clients for their precise performance and high strength with in India and many countries of the world too. Our products are available in the market at very affordable prices. We recomment the use of our assistance to use our prodects. We have a skilled and dedicated team of professionals, we manufacture, trade and supply a wide array of Rice Rubber Brakes. Our products are widely demanded by the clients for their precise performance and use. Our products are suitable for polishing rice and known for their hygienic nature. The products we offer are made using supreme quality rubber which is sourced from leading vendors. PU & PVC Conveyor Belts & Elevator Bucket Conveyor Belting.